The J&D SA 60 6-String Semi Acoustic Guitar Black is the perfect choice of entry-level guitar for beginners and aspiring guitarists alike seeking something a little more different and a cut above the rest. 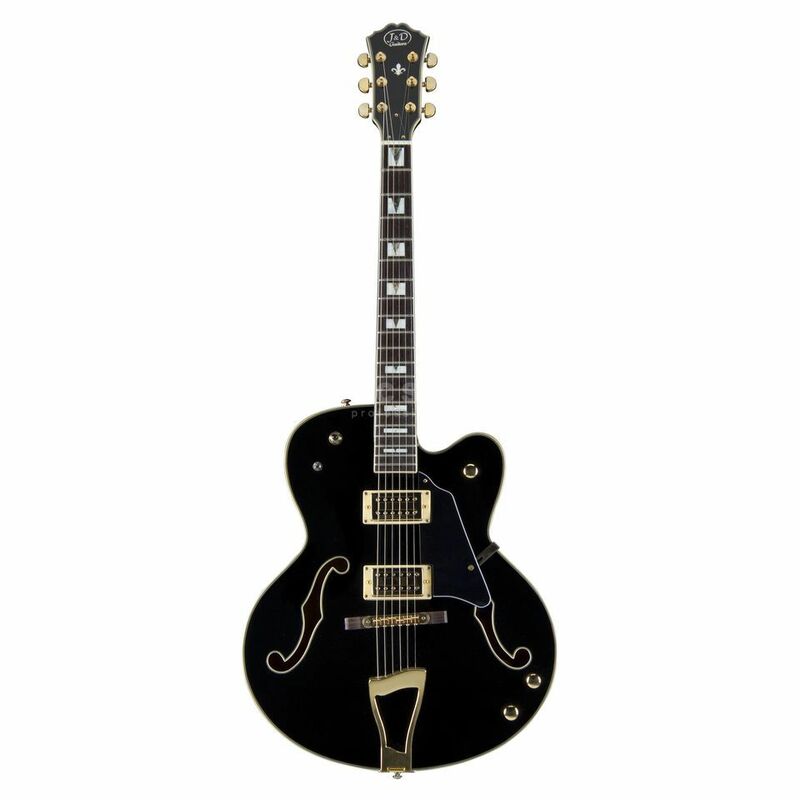 It is based on classic semi hollow bodied guitars normally found in rockabilly bands however many in this style have been seen to tap into a number of other genres of rock. The body is built from a Canadian Hard maple whilst the fingerboard is derived from Rosewood. Other great appointments include 2x Alnico Humbuckers and grover tuners to help keep the instrument securely tuned. solid luxury building,suberb tone,great service from Musicstore. Dont spend money for Gretsch and Gibsons.Jack and Danny made the different..
Rosewood butter fretboard 4.3cm,two split alnico humbuckers with individuals poles,body depth about 6.8-7cm,grover accuracy tuners,luxury hard case. It comes with daddarrio 10 xl roundwound strings and the setup is perfect right from the factory. The price is stupendous low for what this guitar is giving. Musicstores service was excellent.I receive my order after 5 working days in a tighty packet.